Walking your dog every day is never a fuss with the Voyager Dog Harness on your canine friend. 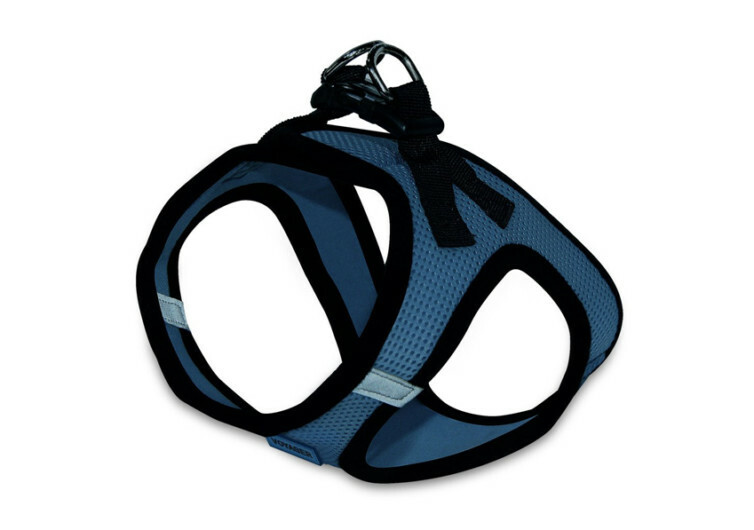 This canine restraint comes with optimum safety, comfort, and style in mind. Every step of the way is pure joy because of the unparalleled comfort that the Voyager provides to any dog. Like any other canine restraint system, you have to get the exact measurements of your dog to ensure the best fit. This is not to say that the Voyager doesn’t come with adjustable elements. It does, but not to the extent that you may prefer. The only adjustments that you can expect come from the overlapping Velcro system. This also serves as the harness’ closure mechanism. If you want it to be tighter, then you have to close the Velcro to the hilt. The good thing with such a system is that there are no buckles to fumble with if you need to adjust the fit. It makes for easier closing and opening of the harness, too. It is obvious that the Velcro straps will not hold your dog in a secure manner. As such, the Voyager comes with an extra-large snap-on buckle mechanism. If the Velcro does get loose, you can still rely on the buckle system to keep the Voyager on your dog’s body. Adding to the security of the system is the dual D-ring attachments. Should the Velcro lose its grip or the buckles unfasten, these D-rings can keep everything together. Do keep in mind, however, that the security of the D-rings is only possible if there’s a leash on it. Marketing information says that the Voyager can prevent dogs from pulling on their leash. It is unfortunate that this is not the case. The placement of the D-ring leash attachment points favor the pulling of the dog leash. This is unlike those harnesses that have the leash attachment up front on the chest panel. These designs offer a better solution for dogs that tend to pull or tug on their leads. This is not to say that the Voyager is a mediocre dog harness. No, it isn’t. 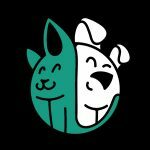 Its design focus is on giving pets the comfort they need. 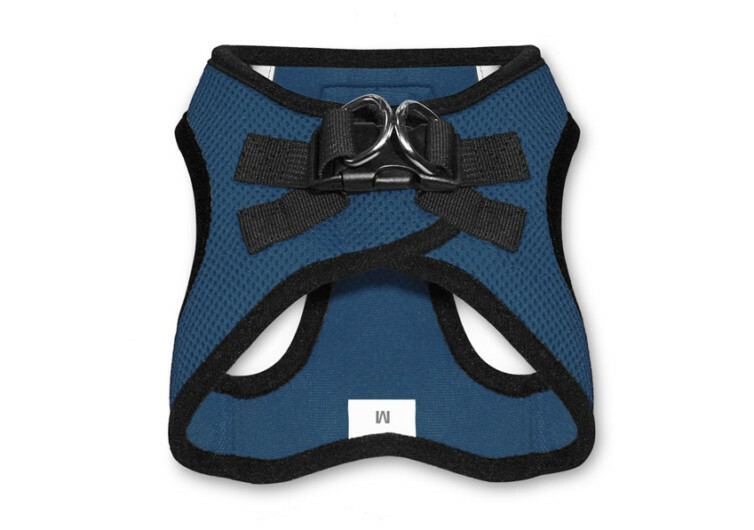 The padding on the chest, back, and belly panels provide comfort like no other dog harnesses can. 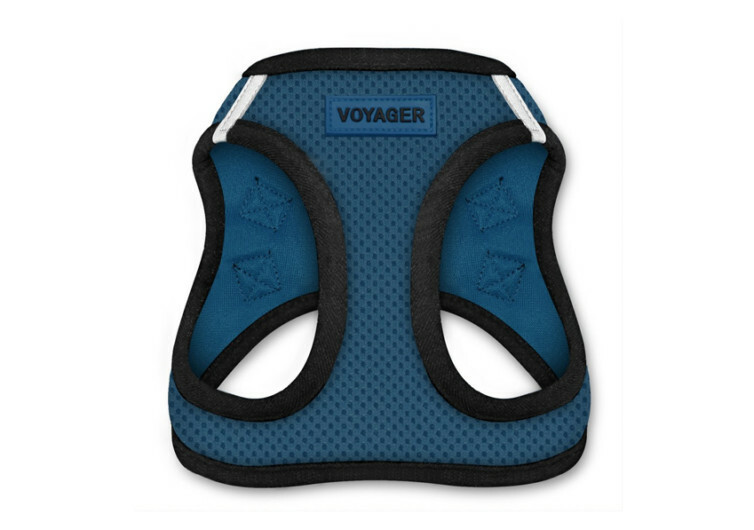 Add to this the breathable mesh fabric that is integral to the Voyager’s design and you’ve got a comfy restraint system for your pet.